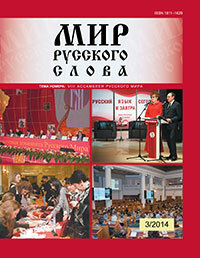 The article covers various types of analysis of the Russian language in the contemporary world. The role of the language in the post-Soviet territory and all former Soviet republics language situation are reflected. The questionnaire results (the respondents of which are Russian language teachers) are given of those countries that have a sound tradition of Russian language learning. The 2013-2014 year questionnaire detects different level of success of Russian language extendability. The reasons of it are also reviewed in the article. 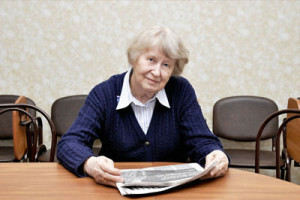 The survey of the language state in Russia are accompanied by suggestions made for enhancement of language policy regulations and also by identifying the problems that could be solved within the framework of “The Russian World” Foundation as well as those organizations studying and teaching Russian language professionally. Keywords: Russian language, post-Soviet territory, Russian language studying worldwide, specialists in Russian philology organizations, language status inside within the state, problems of motivation and teaching. The article marks the 90-th anniversary of Prof. Alexander D. Shveitser, thus honoring the memory of the Soviet and Russian translation studies Patriarch and an authority in translation/interpretation practices, who excelled in American studies and sociolinguistics as well. The focus is made on Shveitser’s professional approaches to a number of translation/ interpretation problem areas associated with sustained challenges cross-linguistically and, hence so far unresolved. These include terminology, idiomatics, and namings for social roles and institutes. A few instances from Alexander Shveitser’s and Viktor Sukhodrev’s practices as ‘official interpreters’ are cited based on their recollections from interviews and/or books written by these Titans of the translating/interpreting profession. Keywords: community interpreting, connotation, decoding, dictionary meaning, discursive meaning, double coding, fuzzy set, idiomatic expression, implied meaning, inference, general meaning, phrasal text, sociologeme, subject-specific translation, terminological meaning, translation studies, translator’s decision, translator’s reflection, public sector /official translator/ interpreter, public service translation/interpreting. The article considers the group of phraseological units which are composed of abstract nouns with actual deixis value. Categorical and formal indicators of such idioms and their lexical meaning are analyzed on the basis of lexicographic representation of the data of the language units. Keywords: noun, deixis, idioms, lexical meaning. The article investigates the complex concept defence of motherland which is represented in the epic tale picture of the world by a generalized mental archetype — a dialogue model, and which is a complex mental construct with an integrated meaning. The linguocognitive and linguocultural analyses of concepts making up the complex folklore concept allowed singling out axiological dominants of the period when Russian national identity was being shaped. Keywords: complex folklore concept, folklore conceptosphere, epic tale picture of the world, mental archetype, dialogue model. This article covers the denominations description of the religious orthodox calendar and revelation of possible dynamics in semantics of separate clue nominations according to sources of linguistic and informative character data. The author attempts to determine the semantics of units Trinity and Pentecost in the conception of modern Russian language native speaker, based on free associative experiment. Keywords: Whitsun, Pentecost, lexical unit, dynamics, vocabulary entry, linguoculturology, semantics. The article gives the linguostylistic analysis of the scientific prose of Alexander E. Fersmann that possesses such peculiarities as laconicism, figurativeness, stress on the verbs, energetic and clear syntax. The given peculiarities emphasize the features of a modern scientific language: lots of bureaucratese and intricate syntax. Keywords: Alexander E. Fersmann, scientific style, fiction, metaphor, bureaucratese. On the basis of studying the lexicographic sources a definition of cynicism the term “linguocinism” is given in the article. The meaning of this term is specified by its correlation with similar to its meaning, but not synonymous to the terms “vulgarisms” and “obscenism”. It became clear that vulgarisms and obscenisms being violation of ethic-linguistic norm are not always linguocinisms. Linguistic means of expressing linguocinism and the role of context in their realization are revealed. Keywords: cynicism, linguocinism, vulgarisms, obscenism, language means, context, speech ethics. New-found hand-written sources on Russian military history clear genesis and evolution of popular anecdotes about the training of recruits. Keywords: oral and hand-written traditions, field manuals, parody. The article reveals how Mikhail Yu. Lermontov’s novel «A Hero of Our Time» presents the problem of cultures interaction. It is shown how the intercultural communication realized. The author focuses on two characters: Maxim Maksimych and errant officer. Keywords: Lermontov, «A Hero of Our Time», dialogue of cultures, intercultural communication. The problems of the usage of Ye. Vodolazkin’s novel “Lavr” in linguoculturalogical aims, during Russian as foreign language classes, are being depicted in this article. The most expedient topics, situations, realities and text blocks for classes and extracurricular work are examined. Keywords: linguoculturalogical potential, the Middle Ages, themes, situations, realities, the image of a doctor, healer, saint. This article analyzes main directions of research in the theory of teaching Russian as a foreign language in Russia: linguistic, communicative, culturologic, anthropocentric, testologic, technologic. The notion “direction in the theory of teaching” is described, these relations with the notion of “approach to teaching” are established. Keywords: Russian as a foreign language, methodology of researches, directions in the theory of teaching. The article deals with the project-based method which provides an interactive mode of teaching Russian as a foreign language. Implementation of project activities in training practice is encouraged by creating new generation manuals that methodically provide students’ presentations on problem topics in the form of discussion in conversation and linguoculturology classes. Keywords: interactive and communicative organization of teaching process, project-based learning and the ways of its realization, principle of interactivity, new generation textbooks. A model of forming a formal and functional Russian reading and writing of non-native Language children is presented. It is made on basis of analysis of sequence of forming purposeful and motor component of literate writing skill. The factors affecting the peculiarities of Russian literate writing skills forming within the non-Russian speaking children are revealed. The above mentioned peculiarities are analyzed subject to the index of similarity of native and Russian languages, type of graphics of native language and occurrence or absence of bilingualism. Keywords: non-Russian language speaking children, writing literacy, Russian language, sequence of speech skills, formal literacy, functional literacy. The paper concerns topical issues pertaining to specifics of teaching Russian as a foreign language in a multicultural environment of the Republic of Mordovia and highlights reasons causingcross-language interference errors among bilingual students’ oral and written speech. Keywords: Russian as a foreign language, bilingualism, polylingual, communicative competence, cross-language interference, Finno-Ugric languages. The significance of the virtual Museum as a Museum and educational environment for the training and education of students; shown effective forms of cognitive and communicative activity of students by means of a virtual Museum. Keywords: virtual Museum, educational environment of the virtual Museum, visual tour, text excursions. Russkiy yazyk v mnogorechnom sotsiokul’turnom prostranstve: [monografiya] / Otv. red. B. M. Gasparov, N. A. Kupina. — Ekaterinburg: Izd-vo Ural’skogo un-ta. 2014. — 324 s.
Lashchuk O. R. Rerayterskie novostnye soobshcheniya: sozdanie i redaktirovanie. — M.: Mediamir, 2013. — 261 s.
The article reveals the perception of Pyatigorsk by Lermontov as the main locus of the North Caucasus and the interpretation of his creativity in the works of contemporary European and Russian writers. Keywords: Lermontov, Pyatigorsk, «Caucasian text» interpretation parody.